Here a couple of very cool vintage style mock ads inspired by Stanley Kubrick's classic sci-fi film 2001: A Space Odyssey. 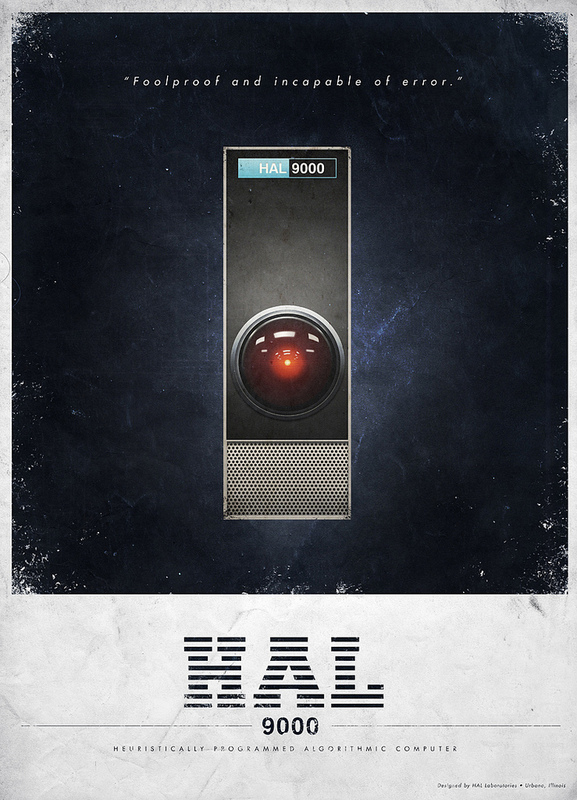 One ad is for HAL 9000 in which the artist says, "Even though HAL was not meant to be a play on IBM I couldn't resist the one letter shift coincidence." The other ad was for Pan Am in which the artist says, "Funny how Kubrick chose companies for his film based on the idea that they would all still exist in the year 2001." What do you all think of the fake ads?